MINKON provide optimum solutions for all Molten Iron & Steel analysis and control. 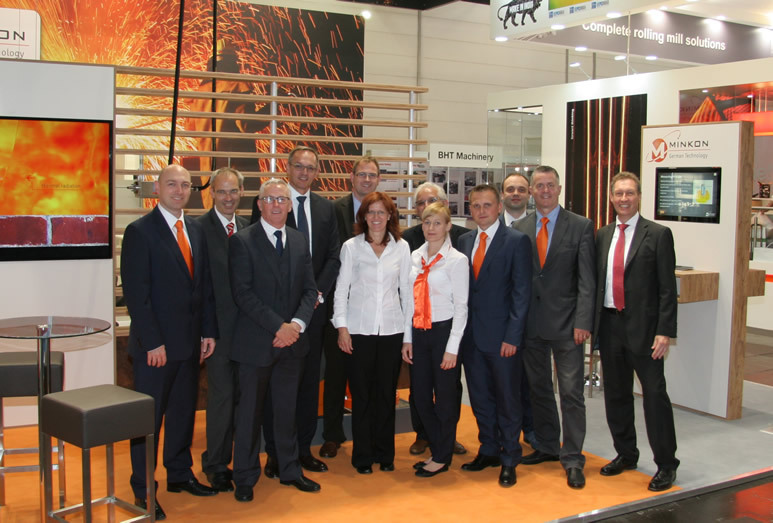 We have more than 50 years experience gained in meeting the demands of premium Steelmakers. MINKON offer a high level of support from our qualified Technical and Engineering staff. MINKON was founded as part of the Midwest Instrument Company ‘Minco’ and has been privately owned for more than 20 years, operating as the European division of the Minco Group, developing and manufacturing our range of high integrity products and significantly contributing to the success of the organisation. The MINKON Philosophy is to focus on technically demanding Premium Steelmakers and Foundries to supply them with best product and service solutions. Continuous improvement of existing applications together with development and introduction of innovative solutions is helping our customers to optimize their production processes. Minkon have the knowhow, infrastructure, personnel, products and most importantly desire to meet the supply aspiration of our customers. Following success at 2015 Minkon will be attending the METEC 2019. Come and visit to see the latest developments in our range.